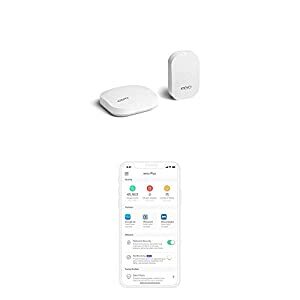 WHOLE HOME WIFI SYSTEM: The eero WiFi System (1 eero + 1 eero Beacon) replaces the traditional WiFi router, WiFi extender, and internet booster by covering a 1-2 bedroom home with fast and reliable internet powered by a mesh network. 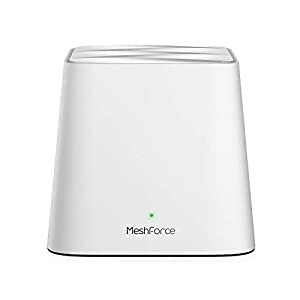 The Next Generation WiFi: MeshForce M1 comes for the future of WiFi, it’s time to replace your wireless router and extenders, and build a true WiFi system for your home. 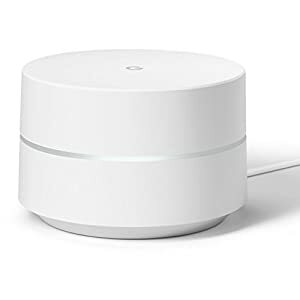 The flawless and flexible AC1200 dual band WiFi connectivity supports up 60 devices, it is a hub to connect your smart devices from PC, mobile, TV, to IP camera. 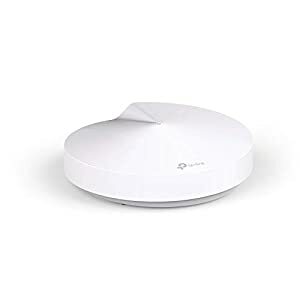 Eliminate Buffering and Deadzones: Covers more than 1500 square feet, seamless single WiFi name for entire home, high performance WiFi network covers 5+ bedrooms. 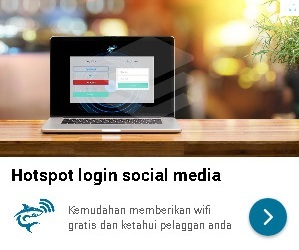 Flexible deployment allows up to 6 points wherever you need WiFi. No matter apartment, house or office zone, MeshForce M1 is ready. One Home, One WiFi, One App: Find a quickest path to get everything done, build a whole home WiFi system is easy. Download ‘My Mesh’ App on your iOS or Android device, set up main mesh point, plug the others and they will join the system automatically.